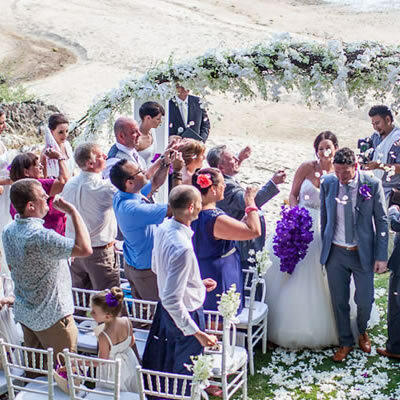 Intimate romantic escape, family holiday or a larger group? 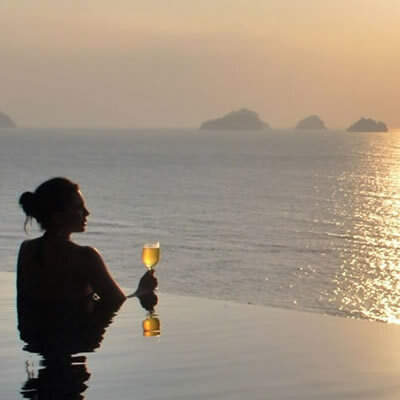 The Headland Koh Samui offers luxury accommodation in Baan Taling Ngam, on the idyllic Southwestern corner of the tropical island of Koh Samui – one of South East Asia's top holiday destinations. 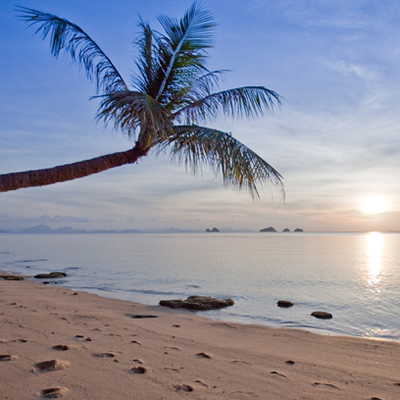 The Headland is unique for its magical tranquility, beautiful empty beaches, luxurious surroundings and unforgettable views, yet within easy reach of all that is Koh Samui on the eastern side of the island. 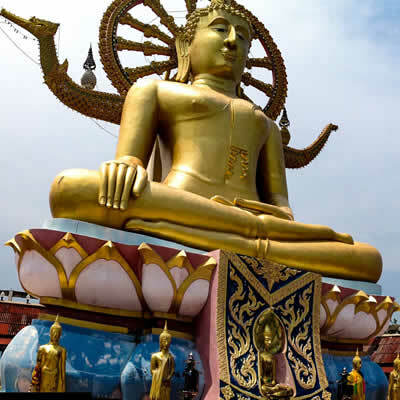 At the Headland, the pace slows and life takes on a more traditional Thai feel amongst the vivid green of the coconut plantations and forested hills. 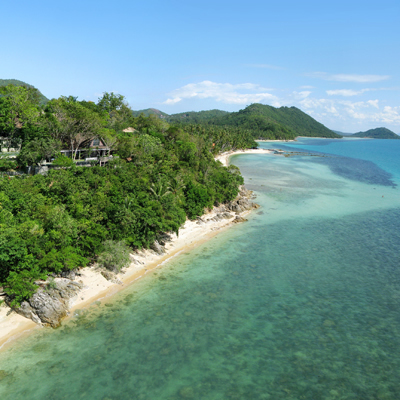 Resting on a natural plateau over Baan Taling Ngam Beach, the Headland estate enjoys the most spectacular panoramic sea views and enchanting sunsets in Koh Samui, looking out to the famous crags of the Five Islands and Ang Thong Marine Park in the Gulf of Thailand. With its unique elevated position and water on three sides, the Headland offers the ultimate in seclusion and privacy. 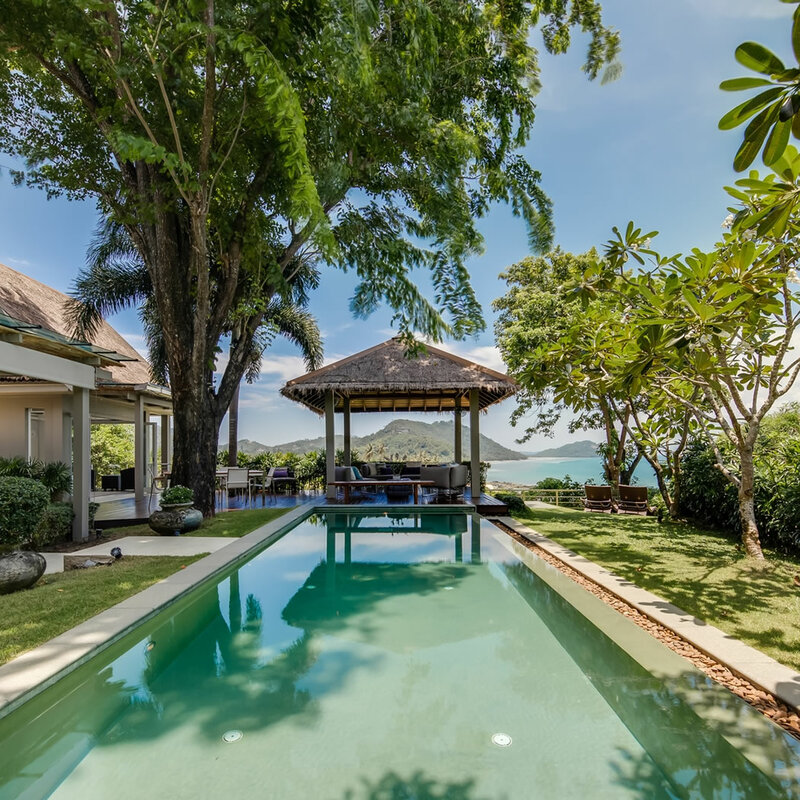 This serene estate, nestled amid lush tropical gardens, is an oasis for those seeking solace from the demands of modern life, or for a private unforgettable family holiday and a taste of exotic island living. Steeped in local history, these traditionally designed villas are finished with an exacting modern standard. 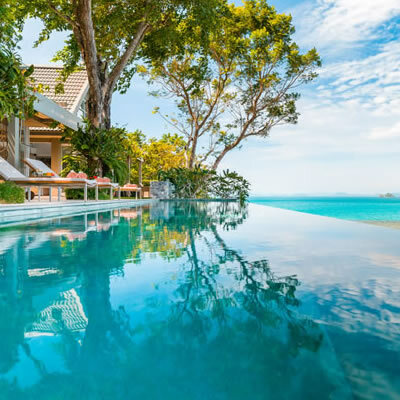 The Headland villas are recognised as luxury koh samui accommodation having an open-air ambiance in all rooms, with the soothing effect of the cool sea breeze during the day. 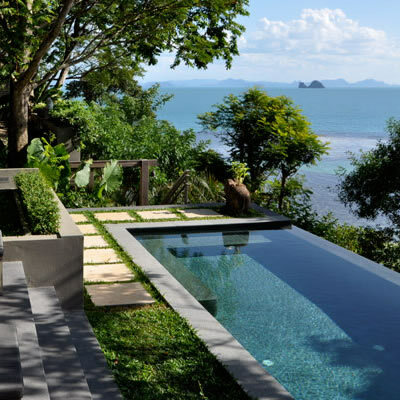 You can wander freely between the poolside and indoor comforts as you enjoy spectacular views of the Gulf of Thailand. 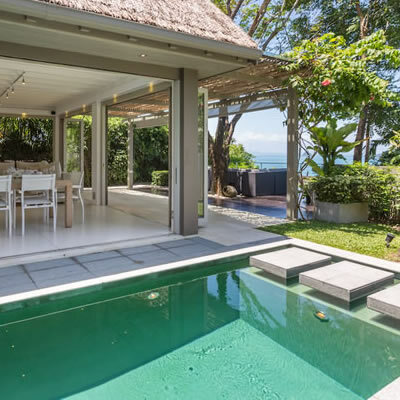 With tasteful furnishings, spacious indoor-outdoor living, and pleasing white and earth tones, the Headland villas offer pristine contemporary tropical Koh Samui Accommodation. 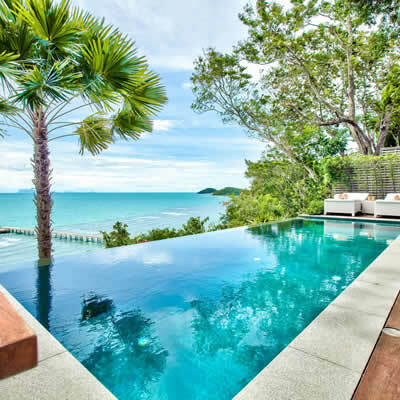 Each villa is private, with its own pool, villa maid, and accommodation for family, honeymooners, or couples seeking a luxury Koh Samui holiday escape. 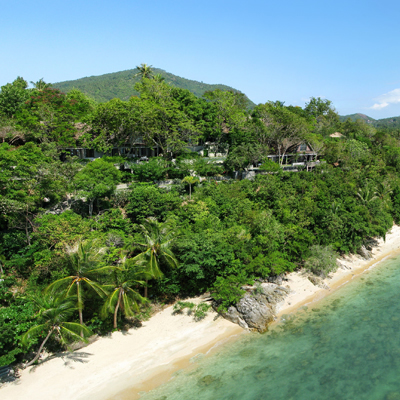 With direct access to the beach through a private staircase you have turquoise seas at your feet. 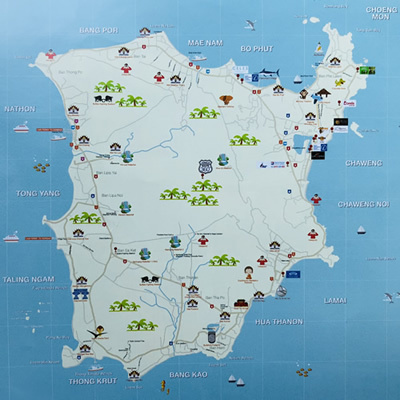 There are also plenty of things to do at the Headland in Koh Samui including snorkelling, paddle-boarding, sea kayaking, diving and yoga, and we are very close to Angthong Marine National Park. There is plenty to excite the more active and adrenaline seekers amongst us! 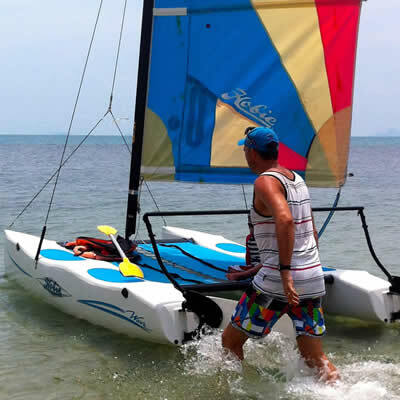 For things to do in Koh Samui, our activities page suggests a range of fun things to do in Koh Samui. 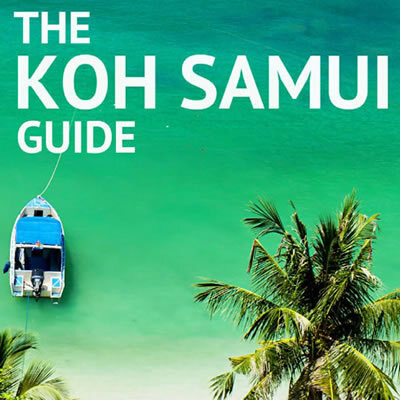 Our Koh Samui blog also helps you stay up to date on topics that affect your holiday destination of choice, such as weather in Koh Samui, how to get to Koh Samui, and fun activities for Koh Samui Family holidays, Koh Samui honeymoons, and Koh Samui family resorts. Life is easy and luxurious at the Headland. 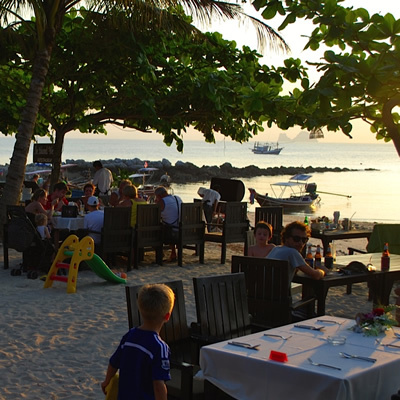 Enjoy dining in, or walk on the soft beach sand to restaurants 5 minutes from the Headland and enjoy flavourful Thai food, or international cuisine with the backdrop of a rich sunset that never ceases to amaze. 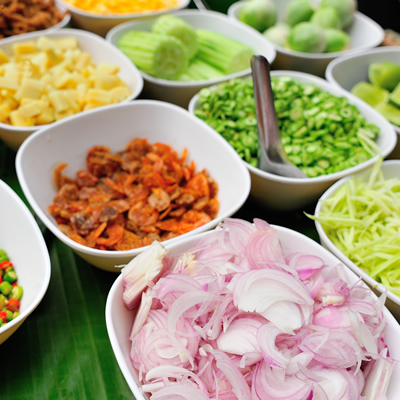 A team of friendly and discrete staff will cater to your every need at your Samui Headland villa. With high speed Wi-Fi throughout the estate, and contemporary facilities you enjoy the benefits of modern living with the tranquility of an island oasis.